Miami City Ballet’s new redesign of the magical George Balanchine’s The Nutcracker® will feature enchanting new costumes and sets by the designer-artist power couple Isabel and Ruben Toledo, Balanchine’s glorious choreography and Tchaikovsky’s beloved score. The production, co-commissioned by The Music Center in Los Angeles, will run at the Adrienne Arsht Center for the Performing Arts in Miami from December 15 – 24, 2017. All performances will feature live music performed by the Miami City Ballet’s Opus One Orchestra, conducted by Gary Sheldon. The production will have its world premiere in Los Angeles on December 7, 2017. Isabel and Ruben Toledo’s fanciful new sets and costumes will enhance this classic holiday tale of a young girl and her magical Nutcracker Prince, who journey to an enchanted kingdom where heroic toy soldiers battle giant mice, and a glittering Sugarplum Fairy dwells in a magical Land of Sweets. 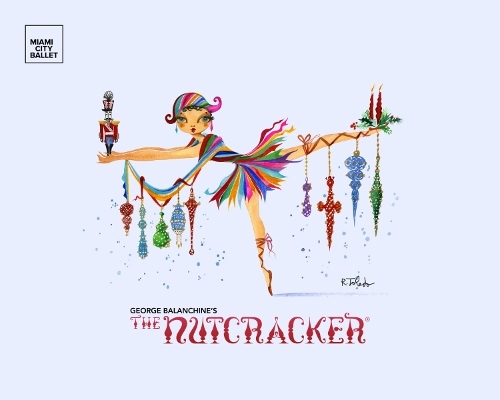 Miami City Ballet is one of the few companies in the country to continuously perform George Balanchine’s The Nutcracker®, which it has done for almost 30 years. The production features a cast of over 100, including 70 children. Following the Miami engagement, the new production will run at the Kravis Center for the Performing Arts in West Palm Beach from December 28 – 30, 2017, opening with a special family-friendly afternoon performance. Isabel and Ruben Toledo are internationally renowned artists in the worlds of high fashion, style and design. The couple has strong ties to Miami and South Florida: In 2012, MDC’s Freedom Tower hosted “Toledo/Toledo: Full Circle,” a retrospective of three decades of their creative collaboration; they received a Lifetime Achievement Award by Fashion Group International, presented in Miami in 2011; and are currently collaborating on design elements for the new Park Grove Residential Towers in Coconut Grove. They are recipients of the 2005 National Design Award from the Cooper Hewitt, Smithsonian Design Museum. Isabel Toledo was nominated for a 2014 Tony Award for her costume designs for the Broadway musical revue After Midnight and designed costumes for Christopher Wheeldon’s Commedia and Twyla Tharp’s Yemayá. Toledo, who has been described as a radical classicist, has been designing and exhibiting her collections twice-yearly since 1984 and became an international household name when she created the lemongrass lace coat dress worn by former First Lady Michelle Obama at President Obama's first inauguration in 2009. Ruben Toledo has created illustrations for such prestigious publications as The New Yorker, Vogue, Harper's Bazaar, Town & Country and The New York Times, among others. His work has been exhibited at prestigious institutions including The Metropolitan Museum of Art's Costume Institute, Victoria and Albert Museum in London and Pitti Palace in Italy. Wendall K. Harrington is an award-winning projection designer, known as the godmother of modern projection design. Her work has been seen in a range of diverse disciplines, including theater, multimedia design, opera, ballet and concert production. Lighting designer James K. Ingalls is known for his work on Broadway and with international and national ballet and opera companies. Both Harrington and Ingalls most recently worked with Miami City Ballet on the projections and lighting for Alexei Ratmansky’s The Fairy’s Kiss, which had its world premiere during the 2016-17 season. Miami City Ballet, now in its 32nd season, has been led by Artistic Director Lourdes Lopez since 2012. Lopez was recently named one of “The Most Influential People in Dance Today” by Dance Magazine. MCB was founded in 1985 by Miami philanthropist Toby Lerner Ansin and Founding Artistic Director Edward Villella. The Company has 52 dancers and a repertoire of more than 100 ballets. MCB performs for nearly 100,000 patrons annually during its South Florida home season in Miami, Fort Lauderdale, West Palm Beach and Naples, and tours to top theaters domestically and internationally. Miami City Ballet School, the official school of Miami City Ballet, is one of the most respected ballet training academies in America. The School’s renowned faculty, challenging syllabus and affiliation with Miami City Ballet make it a place where all students – from children to adults – can receive comprehensive dance training. The School trains approximately 400 students, ages 3-18, in its year- round program, and 400 during its summer programs, granting nearly $500,000 in scholarships annually. More than 500 adults participate in a vibrant community division. 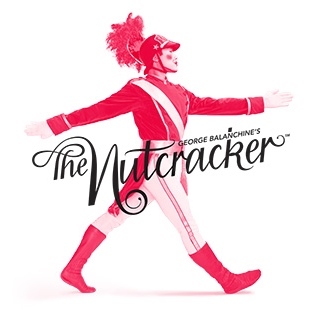 Single tickets for the 2017-18 season, including performances of George Balanchine’s The Nutcracker® will go on sale on July 10 and will be available at MCB’s box office, by calling 305.929.7010 or 877.929.7010 (Monday – Friday, 10 am – 5 pm) or online at miamicityballet.org. For more information, visit miamicityballet.org. Major funding for the new production of George Balanchine’s The Nutcracker® has been generously provided by: Claudia and Steven Perles and Mary Spencer. Additional financial support includes: Deborah and Charles Adelman, B Carlin Foundation (Robert G. Breier, Chris Landon, Gary Nix, Trustees), Ana and Robert Barlick, Jr., Margarita and Armando Codina, Jeffrey Davis and Michael Miller, Kathy and Steven Guttman, Kristi and Dean Jernigan, Susan D. Kronick and Edward M. Shumsky and The Music Center. Major funding for Miami City Ballet is provided by the John S. and James L. Knight Foundation and the Ford Foundation. Miami-Dade County support is provided by Miami-Dade County Department of Cultural Affairs and the Cultural Affairs Council, the Miami-Dade County Mayor and Board of County Commissioners with additional support provided by the City of Miami Beach, Cultural Affairs program, and the Cultural Arts Council. Support for Miami City Ballet performances in Palm Beach County is generously sponsored in part by the Board of County Commissioners, the Tourist Development Council and the Cultural Council of Palm Beach County. Broward County funding is provided in part by the Broward County Board of County Commissioners as recommended by the Broward Cultural Council. The Company is sponsored in part by the State of Florida, Department of State, Division of Cultural Affairs, and the Florida Council on Arts and Culture.